A study program at an elite Chinese university that was inspired by the prestigious Rhodes Scholarship is now taking applications for its third cohort. 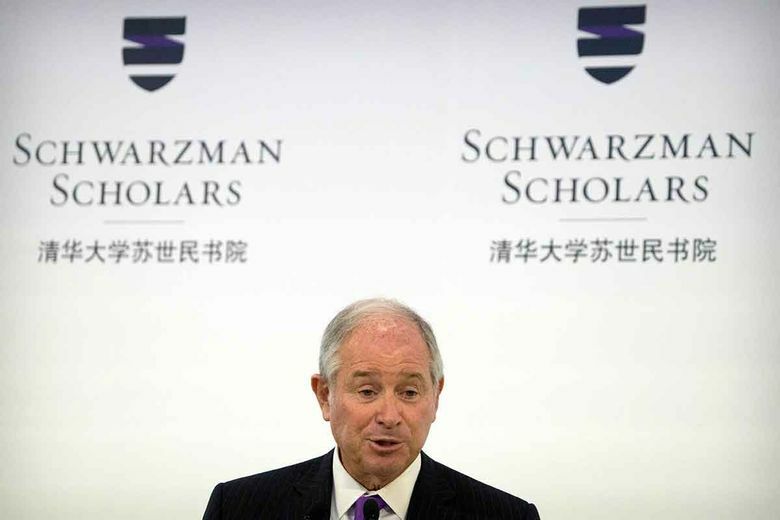 Schwarzman Scholars is a one-year master’s degree program at Tsinghua University that was initiated by Stephen A. Schwarzman, a co-founder of the private equity firm Blackstone Group. It offers classroom teaching, travel, cultural immersion and practical work experience with Chinese companies and nonprofits. The program launched its second year last fall with an endowment of more than $500 million and a considerable rise in applications. He said the first session had proved “enormously successful” and participation grew from 107 to 127 in the current session. More are expected for the third year, with organizers hoping to eventually have about 200 scholars in each class. Applicants are largely from the U.S. and China but include dozens of nationalities. Rising applications show “there’s a really important role for the program,” which is affirmed by senior Chinese and U.S. figures in government, business and academia, Schwarzman said. Relations between Washington and Beijing have entered a new era of uncertainty under President Donald Trump, who last year threatened to name China as a currency manipulator and briefly flirted with opening relations with Taiwan, the self-governing island China claims as its own territory. The Trump administration is demanding that Beijing reduce America’s trade deficit with China by $200 billion by the end of 2020 and has threatened to impose tariffs. Schwarzman, who had led one of Trump’s now-disbanded business councils, said at the launch that while the relationship is “complicated,”He also said the Schwarzman Scholars program had succeeded in its commitment to allow free debate of all topics, despite strict limits on what Chinese universities can teach and discuss in areas such as politics and history. Find application information at schwarzmanscholars.org.